Ladies you NEED to know! Hi, I'm Charlene and I blog at From Bisons to Buckeyes. I am a 20-something wife and fur mamma living in Ohio. I started blogging to help keep in touch with friends and family. Now I use the blog to inspire other young wives to keep God first and their husbands second in their lives. From Bisons to Buckeyes is a place to find marriage tips, ideas for dating your spouse, and advice based on biblical principles. I asked each sponsor: What is your favorite item for February? Mary Kay Satin Hands. Mary Kay Satin Lips. Fleece Lined Leggings. Wool Socks. 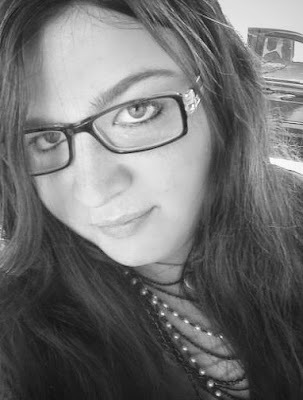 I am a geeky lifestyle blogger over at www.thenerdyfox.com. I have an all-encompassing blog – I blog about food, lifestyle, geek culture, video games, photography, and my kids. I am an almost 30 single-mother of two wonderful littles that share a love of geek culture and video games. My peppermint lipbalm from Cheaha Soaps and my black slouchy beanie! I can’t survive the cold without them. Jennifer is a 25 year-old stay-at-home mom by day and a freelance journalist and blogger by night. She's the founder of Positivity in Pain, a website devoted to helping those with chronic illness thrive and live a positive life in spite of the pain they feel on a daily basis. In her spare time (what's that?) she regularly makes jewelry to spread awareness of the various chronic illnesses out there, and sells them in her online boutique. My favorite items for February is most definitely a bright neon scarf knitted by my grandmother, my "I'm a Fighter" Fibromyalgia awareness sweatshirt, and of course my eyeliner. I never go anywhere without wearing some good eyeliner! I hope you take the time to check out these awesome folks on their blogs and social media sites! Your turn: What is YOUR favorite item for February? Thanks for the spotlight! And btw, I LOVE the new look! Sorry if you've had it for a while and I just now saw it. I've been a little MIA from the blog world lately. Pizza with a side of guilt?